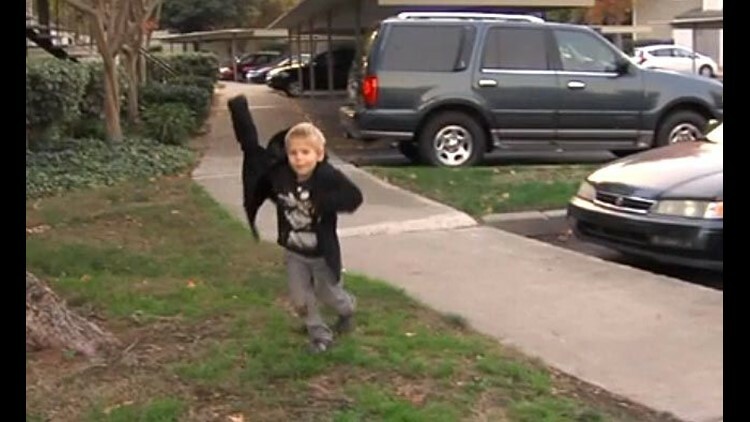 SACRAMENTO (KTXL) - Every day is a learning experience when you're just 4-years-old. Tomahawk Hendren is a self proclaimed outdoor guy. But his explorations inside his gated Sacramento apartment complex has taught his mom a hard lesson about the law. "He was outside and a neighbor called the cops on us," said Tomahawk's mother, Sonya Hendren. Sonya Hendren was arrested for felony child endangerment and neglect and had Tomahawk taken away. The alleged crime was letting him roam on a playground 120 feet from their front door. Though the charges have been reduced to misdemeanors Hendron has been fighting to get them dropped for several months. "I thought she would just get a warning ... and she wouldn't let them be out alone again," said Sonja Horrell, who reported Tomahawk to CPS. Horrell and her daughter said they were worried because Tomahawk was left unattended. They said they didn't mean the family any harm. Horrell's daughter Brandi said, "I'm not mad that she has to do things now to teach her because what if somebody did take him away." Hendron's attorney said if the prosecution is to proceed with the charges they must prove Hendron willfully placed Tomahawk in danger. Hendron thinks she's being criticized for her "free-range" parenting style. She prides herself for being Tomahawk's mother. Hendron remarks emotionally, "I breast fed for 28 months. I cloth diapered and, you know, obviously avoided helicopter parenting. I'm doing everything." Tomahawk says she's everything to him. "I lover her like twenty times. Maybe a thousand," he remarks. Video report by Nicole Comstock from KTXL via CNN Video Affiliate Network.